Saturday's bantamweight beatdown is going to be a thriller. One of these days, Urijah Faber is bound to give way to the next generation. We just don’t know when that moment will come. 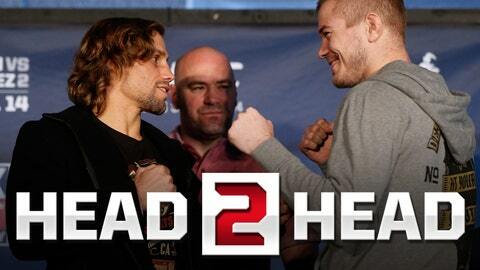 Incredibly, Faber, now 34 years old, keeps hanging around as a threat to champions, but a bigger threat to contenders. He’s 9-0 in non-title matches since 2009, but has lost all five times gold has been on the line. Next up in the race to knock him off his perch at No. 2 in the rankings is a likely pick, Michael McDonald. Blessed with knockout power and a willingness to war, perhaps the 22-year-old will be the one to usher the next generation of contenders past the old guard. Clicke HERE to open image in a new window.